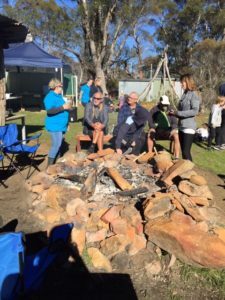 On Friday 30 November, to mark the beginning of this year’s Aboriginal Cultural Education Camp, General Practice Training Tasmania (GPTT) in collaboration with the Tasmanian Aboriginal community launched their Reflect Reconciliation Action Plan to formalise their commitment to improving Aboriginal health in Tasmania. 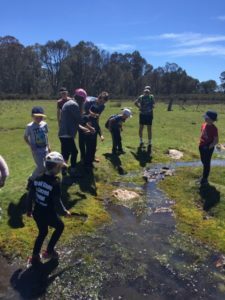 GPs play an important role in providing access to health care, and the Aboriginal Cultural Education Camp provides a unique opportunity for registrars to improve their confidence and ability to better care for the needs of the Tasmanian Aboriginal community. 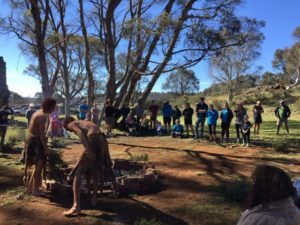 A group of 14 GP registrars, their families and a number of GPTT staff travelled to Tasmania’s Central Highlands for a culturally immersive three day camp where they learnt from and interacted with Aboriginal community members. Registrars participated in cultural arts and crafts, learnt about the history of Aboriginal Tasmania and had the opportunity to learn firsthand the challenges and unique health needs faced by the Aboriginal community in Tasmania. 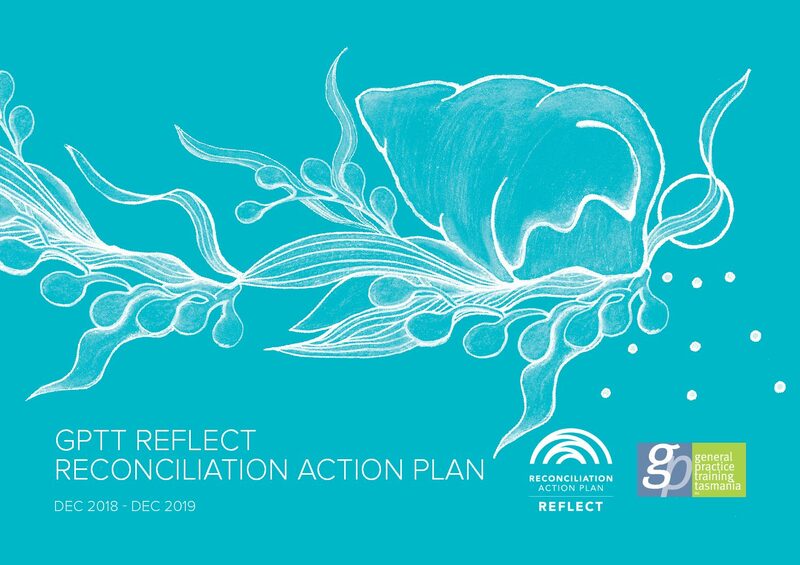 GPTT CEO Allyson Warrington said the Reconciliation Australia endorsed Reflect Reconciliation Action Plan (RAP) provided the organisation with the opportunity to reflect on and strengthen existing relationships with the Tasmanian Aboriginal community. 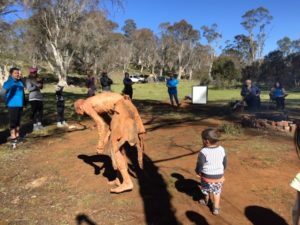 “The RAP gives us a framework of strategies and measurable targets including encouraging participation in unique training events such as the Aboriginal Cultural Camp that allow us to develop respectful relationships within the Aboriginal community,” Ms Warrington said. The RAP program has more than 1,000 dedicated corporate, government and not-for-profit organisations across Australia that have formally committed to reconciliation since its inception in 2006. As a visual representation of GPTT’s commitment to reconciliation, an artwork by Sharnie Read was commissioned and unveiled during the RAP launch. The artwork depicts a mariner shell, one of the most precious and decorative shells used by Tasmanian Aboriginal people along with an ancient cultural symbol that can be found carved into rock at various locations around the island. Tasmanian Aboriginal Centre Chief Operations Officer, Raylene Foster, commended GPTT for formalising their commitment to reconciliation. “A Reconciliation Action Plan is the first step in an important journey for GPTT and will allow the organisation to directly impact and enrich the lives of the Tasmanian Aboriginal community,” Ms Foster said.